Elevator Riders Riding Club - Elevator Riders RC 2014 Poker Run "EESF"
Elevator Riders RC 2014 Poker Run "EESF"
Proceeds to benefit the EESF! 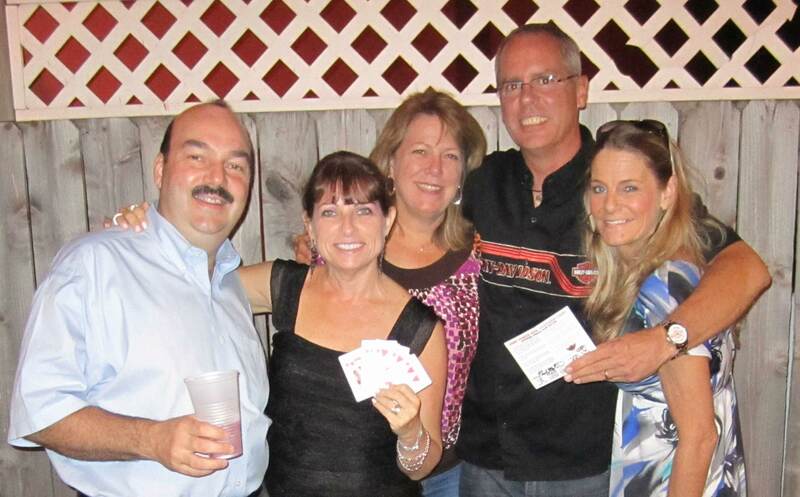 Highest 5 Card Playing Hand of Poker Wins! Pay a $25 entry fee and get a Voucher card. 2. Visit EESF Booth 850 and get a playing card. 3. Visit C.J.Anderson Booth 925 and get a playing card. 4. 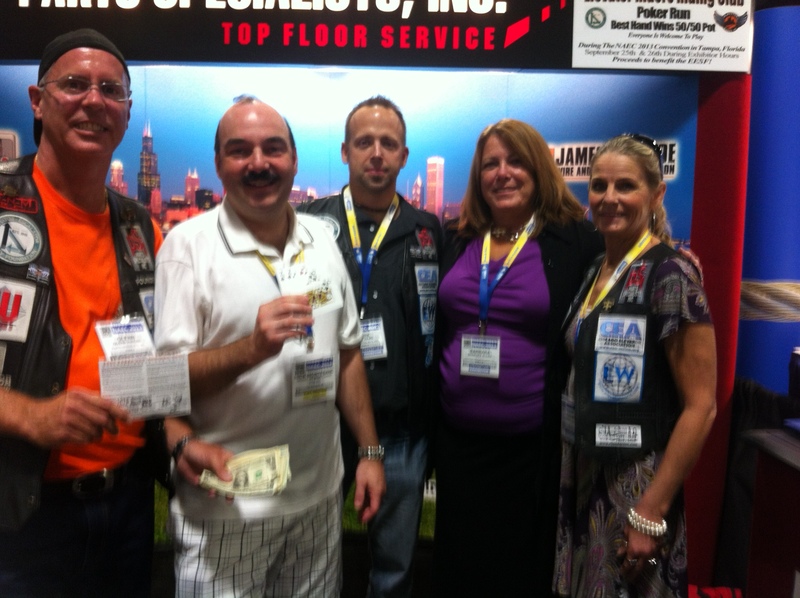 Visit Elevator World Booth 935 and get a playing card. 5. 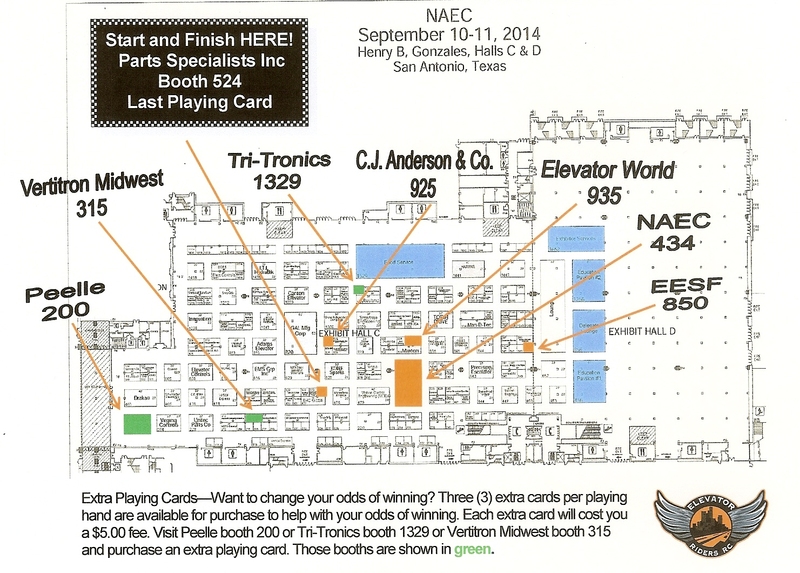 Visit NAEC Booth 434 and get a playing card. Want to change your odds of winning. Three (3) extra cards are available for purchase to help with your playing hand. Each extra card will cost you a $5 fee payable at the following. 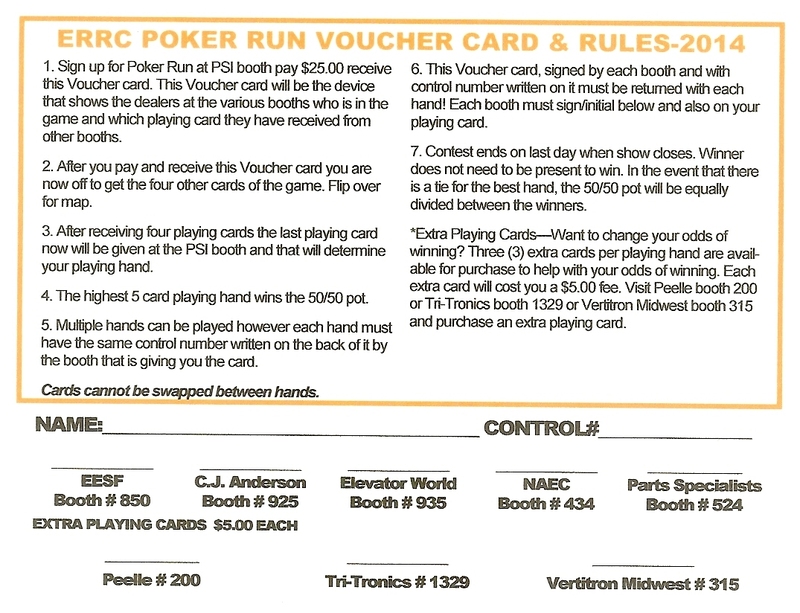 Visit Peelle Booth 200 or Tri-Tronics Booth 1329 or Vertitron Midwest Booth 315 for a Extra Card Draw. 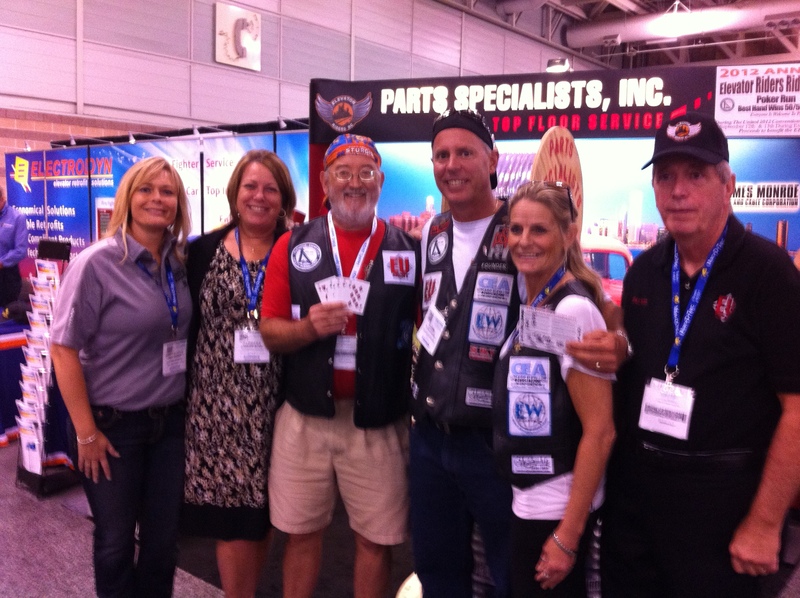 · Return to Parts Specialists Inc. (PSI) Booth 524 with four (4)playing cards as well as the Voucher card and get your last playing card to complete your hand. · IMPORTANT! Each card must be initialed/signed by the booth you received the card from. In addition each playing card must also have the control number written on it that is also shown on the voucher card.